- Drive growth in sales through new customer acquisition and analytics Product sales. - Own the entire sales process for prospect management -presales, solutions, and commercials till closure. - This role will entail extremely high interdependent conversation capabilities towards understanding the problem statement and making the right solution pitch to the client. - Very strong revenue ownership and deal closure capabilities. - Leverage professional networks and connects towards lead generation which will also be a quantifiable KPI. - A minimum of 5 years of relevant experience, ideally with a top-tier Bank, Software/ Technology or analytics firm with the key deliverables on solution sales. - Past experience in Business Development with financial products, technical products or analytics solutions. - High bias for action with high industry connects and hunger to sell solutions to the business problem. - Excellent Writing, presentation and communication skills. - Clear, confident, precise with high attention to detail. - Dynamic, positive, inspirational and proactive. 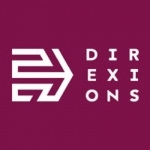 Direxions is India's pioneer and industry leader since 1989 in the field of Direct, Relationship and Loyalty Marketing and CRM solutions. We have over 75 dedicated CRM professionals working across our offices in India and South Africa. We offer cutting-edge loyalty programs, business analytics and integrated marketing solutions to organizations who want to build and retain relationships with customers, distribution and sales channels and influencers. We, at Direxions are well known for our expertise in developing and managing loyalty programs and have been associated with over 100 loyalty and CRM programs, across several industry verticals and channels. The business analytics team has a fine combination of highly trained data scientists and seasoned domain experts with a robust and in-house data center team. We undertake the journey from identifying the business problem or opportunity to actionable insights and solutions and have delivered projects at varying levels of complexity starting from descriptive analytics and going to advanced analytics. We have worked for blue-chip clients in diverse industries like British Airways and Jet Privilege in airlines, Ambuja Cements, Lafarge Cements and Birla Cements in Infrastructure, Hindustan Unilever, Colgate, Nestle, Cadbury, Britannia to name a few in FMCG, Conde Nast and ABP in media, ICICI Bank, Deutsche Bank, BNP Paribas, HDFC, ICICI Prudential in BFSI etc.